Just a quick post today because I'm about to watch a film. I haven't been feeling well the past couple of days so just chilling out and watching a film will be ideal! I have a really nice polish to show you today. I bought this really cheap on ASOS and didn't realise it was from the Models Own S/S 2012 collection! 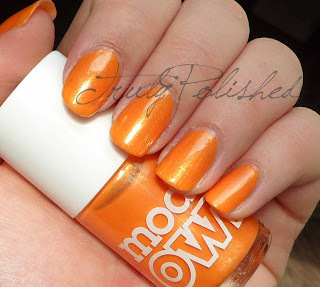 I just wanted an orange polish! 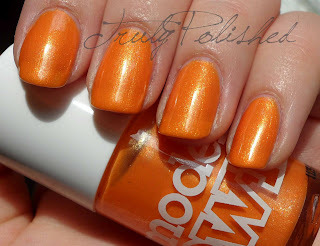 This polish is called Zest-a-Peel and it's a yellow toned summery orange with a hint of shimmer. The formula on this was so sheer, so I used four coats in the photos below with no topcoat and I still had a bit of visible nail line. See the rest of my photos after the jump! I think, actually I know, this is my favourite orange ever. I'm not that much of an orange fan, but I think the yellow tone in this makes it a really warm orange and I think that suits my olive skin a lot more. 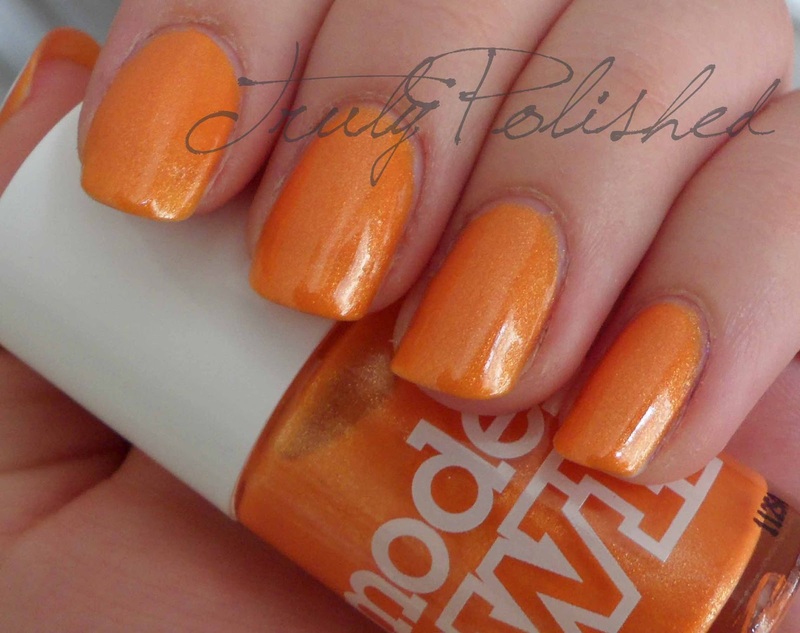 The shimmer in this polish really sets it apart because it's not just your standard orange creme, so so this perfect to take you from Spring into Summer (if we ever get Summer... at this rate I'm doubting it). 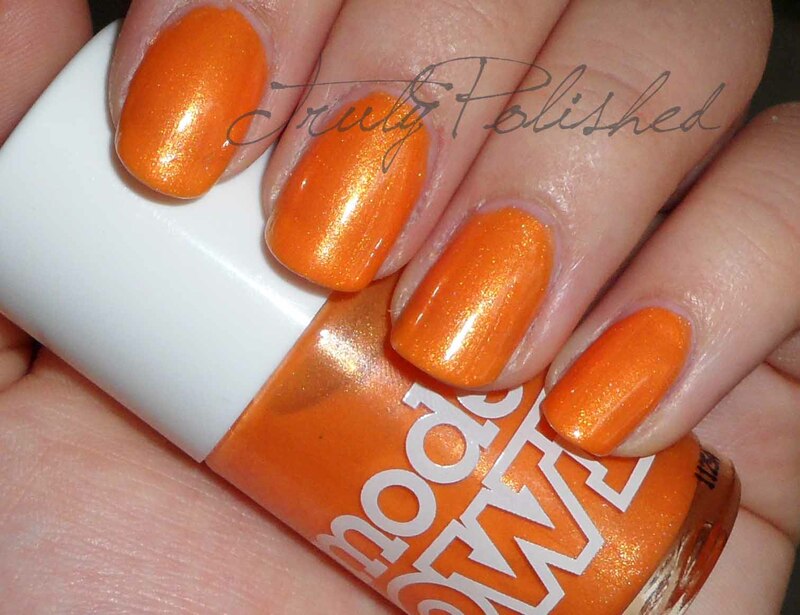 You can find this polish in selected Boots stores and on the Models Own site. The RRP for this is £5 but I do believe I got it for cheaper, I think I paid £2.50 on ASOS, but it's sold out on there now!